VA 822 from Winchester to the West Virginia line above Cross Junction. This is the 2nd VA 7. VA 7 WV to Alexandria Adjustments: In Oct 1940 (CTB), VA 7 west was truncated to Winchester. The road to West Virginia became VA 522. Today this is US 522 plus SR 789 through Albin; SR 684 through Gainesboro; the SR loop through Cross Junction. About 1973, VA 7 was placed on a new freeway bypass north of Berryville, leaving behind VA 7 Business. In March 1974 (CTB), VA 7 was placed on new alignment on the western side of Snickers Gap, leaving behind SR 679. In Sept 1975 (CTB), VA 7 was placed on a new freeway bypass of Leesburg, some of which had opened earlier as US 15 Bypass. This left behind VA 7 Business through Leesburg. In Aug 1980 (CTB), VA 7 was placed on a new Super-2 bypass of Hamilton. VA 7 then used VA 287 south to the original route 7. 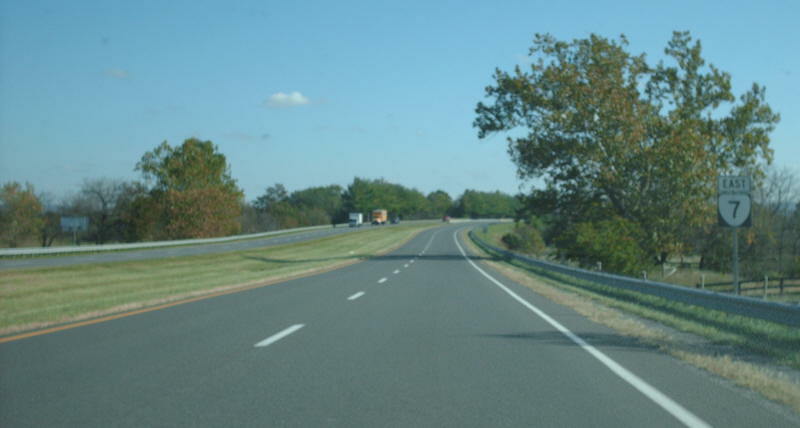 The highway between VA 287 and VA 9 became VA 7 Business. In Nov 1987 (CTB), VA 7 was placed on more new Super-2 freeway bypassing Purcellville and Round Hill, leaving behind a bit of VA 287 and an extended VA 7 Business. Improvements: Paved upon inception everywhere except from Nain to West Virginia. The rest of VA 7 was paved in 1936. VA 7 was first multilaned in 1954, from US 50 to Alexandria line except right around Baileys Crossroads. In 1955, VA 7 was multilaned around VA 244 Bailey Crossroads. In 1957, VA 7 was multilaned from the Fairfax-Alexandria line to today's VA 402. In 1960 or 1961, VA 7 was multilaned from VA 402 to about VA 420; also from US 29 to US 50. In 1966, VA 7 was multilaned from VA 123 to I-495. In 1968, VA 7 was multilaned from I-495 to I-66. In 1969, VA 7 was multilaned from I-66 to US 29; also from VA 228 east to VA 267. In 1970, VA 7 was multilaned from I-81 to Clarke County. In 1971, VA 7 was multilaned from Clarke-Frederick line east halfway to Berryville; also from US 15 Bypass to VA 228. The 1972 Official shows VA 7 mutlilaned from Clarke SR 612 east to Snickers Gap. In 1973, VA 7 was multilaned on the Berryville Bypass. 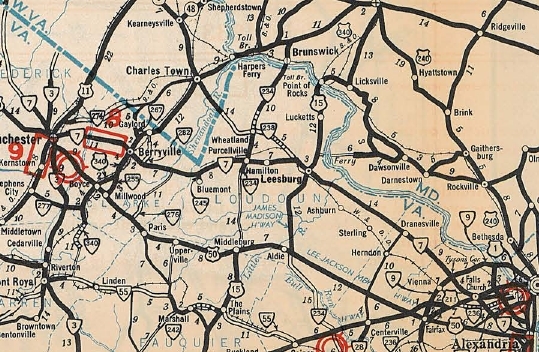 In 1975, VA 7 was multilaned on the Leesburg Bypass; also from Snickers Gap to about Round Hill. In 1976, VA 7 was multilaned from VA 9 east to Leesburg Bypass. In 1993 or 1994, VA 7 was multilaned from I-81 west to Pleasant Valley Rd. About 1995, VA 7 was multilaned from VA 9 west past Round Hill. New interchanges have been built in recent years between Leesburg and VA 28 at River Creek Pkwy (SR 773) and Loudoun County Pkwy (SR 607). The only remaining 2-lane segments of VA 7 are the westernmost 3/4-mile in Winchester and the easternmost mile-and-a-half in Alexandria. VA 7 is 6 or more lanes from US 15 to SR 7100 Fairfax County Pkwy and again in the Tysons Corner area from the Dulles Toll Rd (VA 267) to I-495. 3 I-7 Bus shields exist on SR 641 near Ashburn; an error US 7 sign existed at the US 340 interchange in the late 90s (gone now); A square 7 shield (like the Massachusetts state highway marker) existed for several years near the Masonic temple in Alexandria (since replaced with an Interstate-style shield); a couple SR 7 shields exist in the Tysons Corner shopping area. Comments: VA 7 is shown to be on one-way splits in downtown Winchester: westbound VA 7 follows Piccadilly St until its intersection with Braddock St (SB US 11/522) then south to Boscawen St (US 50). Eastbound VA 7 follows Boscawen St to Cameron St (NB US 11/522) then north to Piccadilly St.
VA 7 is a major commuter route in Northern Virginia all the way out to Winchester. It is clogged for large parts of the day everywhere east of Purcellville, especially in western Fairfax County, near Tysons Corner, and in Old Town Alexandria. One could argue it is important enough to be an extended US 48 or swapped with US 50. More specifically, VA 7 began at Irvington, using VA 200 north to Pittmans Corner. Here VA 7 cut west on SR 646 to Christ Church, then north on VA 222 back to VA 200 and over to Kilmarnock. VA 7 picked up today's VA 3 through Brookvale to Lancaster (used SR 790 at Camps Millpond). VA 7 then used SR 600 to McNeals Coner, then VA 201Y and VA 201 to Lively. VA 7 then used VA 3, then SR 622 west through Nuttsville to Litwalton, then VA 354 north back to VA 3. I believe VA 7 followed VA 3 to Warsaw except it used old SR loops through Farnham and Emmerton. At Warsaw, VA 7 used VA 3 Business, then SR 690 through Farmers Fork over to Templemans. VA 7 used SR 766 and SR 767 through Templemans, then VA 3 to Montross. VA 7 followed VA 3 to Oak Grove except using SR 647 at Chandlers Millpond; SR 659 in the Flat Iron area; SR 639/654 at Potomac Mills. There are a few old VA 3 alignments visible which are not roads anymore that likely were VA 7 as well. VA 7 followed the SR 1xxx behind the school at Oak Grove which used to connect directly to SR 634 near King George County line. VA 7 used SR 681 at Rollins Fork; SR 680 at Index; SR 647 at Shiloh; SR 679 near Weedons Fork; SR 686 west of US 301; SR 678 at King George CH; SR 677 at Comorn as it followed VA 3's general routing through King George County. VA 7 pretty much used today's VA 3 to VA 3 Business, then SR 607 over to Falmouth. VA 7 crossed the Rappahannock River with VA 1 just north of the current US 1 bridge, then followed US 1 Business into Fredericksburg. VA 7 then used VA 3 Business and VA 3 west out of town. West of Fredericksburg, it is unclear if VA 7 initially used SR 610 or current VA 3 to Chancellorsville. At Chancellorsville, VA 7 did use SR 610 through Richardsville, connecting back to VA 3 near Stevensburg. VA 7 used SR 600 through Stevensburg. It appears VA 7 used VA 3 to US 522, then SR 686 west to today's US 15 Business (cutoff by Culpeper bypass now). VA 7 used US 15 Bus, then unnumbered Orange Rd, then US 522 through central Culpeper. North of Culpeper US 522 follows a path that has been totally rebuilt. There are numerous visible old alignments that are no longer public road. A few pieces are drivable that were VA 7: SR 737 near Norman; SR 707/695 Boston; SR 655/620 near Sperryville. In Sperryville, VA 7 used US 522, then SR 1002 northeast across the Thornton River (no crossing now). VA 7 followed US 211-522 Business through Washington, and SR 678 at Massies Corner. VA 7 followed US 522 north to Front Royal except used SR 641/628 to Flint Hill; SR 657 in Huntley; SR 610 at Chester Gap. In Front Royal, VA 7 followed US 522 then Main St west to US 340. VA 7 stayed on Royal Rd to the S. Shenandoah, then used Old Winchester Pike to the N. Shenandoah, then SR 637 back to US 340/522. VA 7 followed US 340/522 to Cedarville, then SR 627 west to Middletown. VA 7 then duplexed with VA 3 on today's US 11 through Stephens City to Winchester. It is murky what happens to VA 7 at Winchester. The definition says it went to West Virgina, but how? 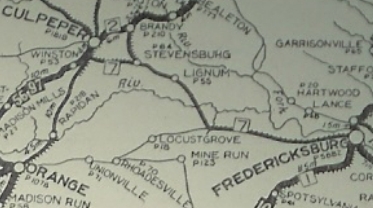 The 1922 Auto Trails Map shows VA 3, VA 6 and VA 7 all heading out west with US 50 to WV. However, CTB clearly state VA 3 using today's US 11 north to WV so there is a possibility the map is wrong about VA 7, but I actually believe it did follow VA 6. VA 7 followed US 50 to West Virginia except used SR 803 west of today's VA 37; old US 50 through Gore; approaching WV it is clear the old road used a different ascent to the north which is now private property access. In May 1920 (CTB), VA 7 was rerouted to use today's VA 3 from Stevensburg to Chancellorsville. By July 1921 (CTB), VA 7 was rerouted at Kilmarnock to instead use today's VA 3 to White Stone, then SR 695 east to Westland. In 1923, VA 7 was renumbered as VA 37 from Irvington to Winchester and VA 36 from Winchester west to the WV Line. VA 7 SPUR #1: Defined in the 1918 (and more clearly in 1926) General Assembly assignment of state highways running from Reedville to Montross. VA 7 SPUR used today's SR 644 from the Reedville cul-d-sac, then US 360 from Reedville to Callao except: SR 726 in Reedville; SR 703/652 in Beverleyville; SR 702/646 in Lilian; SR 640/695 in Blantons Corner; SR 694/636 in Avalon. VA 7 then followed VA 202 northwest to Templemans except it used the SR 617 loop in Hyacinth. At Templemans, VA 7 SPUR ended at then-VA 7 which is the jct of VA 202 and SR 766. In Nov 1922 (CTB), this route became described as VA 7X. VA 7 SPUR #2: Created in Dec 1921 (CTB) as a spur running from VA 7 (curr VA 3) east to Wakefield, birthplace of George Washington. In Nov 1922 (CTB), VA 7 SPUR #2 became VA 7Y. TOday it is VA 204. VA 7X: Appeared in Nov 1922 (CTB) as a renumbering of VA 7 SPUR #1 running from VA 7 (now SR 766) Templemans to Reedville. See the detailed description of the route in the VA 7 SPUR entry. In 1923, VA 7X was renumbered as VA 371. VA 7Y: Appeared Nov 1922 (CTB) as a renumbering of VA 7 SPUR #2, running from VA 7 (now VA 3) to George Washington's Birthplace. In 1923, VA 7Y was renumbered as VA 372. Today it is VA 204. Creation: VA 7 Business for Berryville appeared about 1973 when VA 7 was placed on new expressway north of Berryville. Comment: VA 7 Business is not desired for truck traffic to VA 7. Signs direct trucks bound for VA 7 Bypass are pointed to US 340 north. VA 7 Business did not appear on officials until 1975. Creation: VA 7 Business for Leesburg appeared Sept 1975 (CTB) when VA 7 was placed on new expressway south of Leesburg. Posted: Fully posted; cutouts removed in mid-90s; SR 7 circle on a SGS east of downtown was seen about 2005. Comment: VA 7 Business is very narrow in downtown Leesburg. Creation: This VA 7 Business appeared Aug 1980 (CTB) when VA 7 was placed on new expressway north of Hamilton. VA 7 Business ran from VA 7-9 west to VA 7-287 Purcellville. Adjustments: In Nov 1987 (CTB), VA 7 Business was extended west through Purcellville and Round Hill, as VA 7 was moved to more new freeway. Comment: VA 7 Business is always busy in Purcellville.